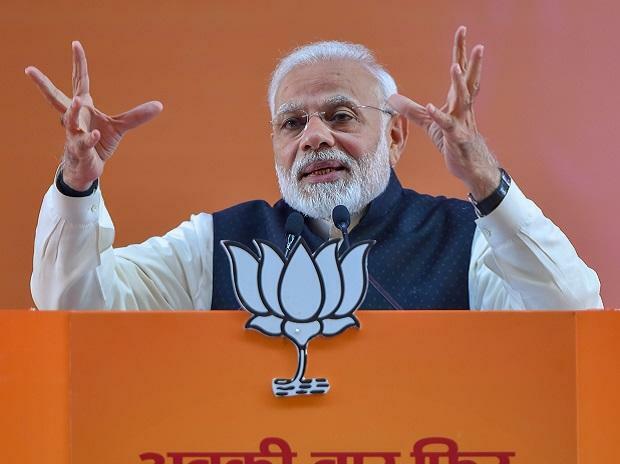 Lauding the efforts of his government in curbing corruption, prime minister Narendra Modi stressed that the government has saved Rs 90,000 crore by filtering 60 million fake beneficiaries. “In the last four years, we have cancelled around 60 million fake ration cards, gas connections, student scholarships and old age pensions. We plugged this leakage, saving crores of money. My pro-poor decisions have enraged people who used to loot public money. They have now been deprived of the opportunities to plunder public money,” Modi said at a public rally at Bolangir, a town in Odisha's western belt. The count of 60 million fake beneficiaries exceeded Odisha's population, Modi said. He said, 100 per cent of ration cards are already digitised and every eight out of 10 ration cards have been seeded with Aadhar card. Take a dig at the coalition of the Opposition parties, prime minister pointed out that false allegations against Modi are being leveled, conspiracies are being hatched and they have gathered together to remove Modi. He vowed to punish all the alleged plunderers. Modi lashed out at the previous governments, alleging they ruled like 'Sultanates'. “They were not sensitive towards conservation of our rich cultural heritages,” he rued. On repatriation of idols, the prime minister said that his government has taken concrete steps to bring them back from abroad. “In the last four years, many such idols have already been brought back,” he added. Modi slammed the Odisha government for inability to spend Rs 4000 crore funds accrued to the District Mineral Foundation (DMF). This was Modi's third Odisha in three weeks. He unveiled a slew of projects, mostly in Railways sector, worth Rs 1,550 crore.